POWELL RIVER, B.C. (From news reports) -- A new four-year agreement between Catalyst Paper Corporation and Unifor Locals 1 and 76 in Powell River has been approved by workers, according to Unifor national representative Jim Dixon. In all, the company's 630 employees with Unifor and the Public and Private Workers of Canada - Pulp, Paper and Woodworkers of Canada at Catalyst mills in Crofton, Port Alberni and Powell River ratified six new collective agreements. They extend to April 30, 2021, and are retroactive to May 1, 2017. 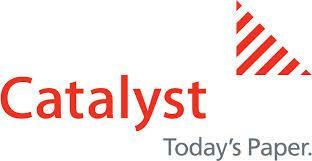 The deal includes wage increases and improvements to some benefits, according to a statement from Catalyst on July 3.